We welcome J Travers Devine to his term as our 2014-2015 club president. Travers is best known in Hermosa Beach as one of the founders of the St. Patrick's Day Parade and its 'managing' Co-Chair for 15 years. 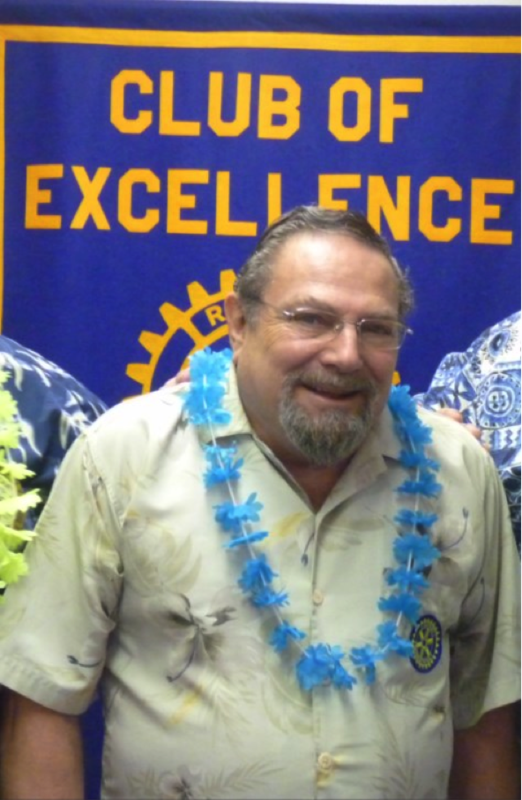 He served on the Hermosa Beach Chamber Executive Board for 14 years and was the 'Man of the Year' in 2008. (both non paid positions). Travers spent most of his life working for Organized Labor - 20 years with the California School Employees Association (AFL-CIO) where he negotiated contracts for Classified Employees (non-teaching personnel) with various School Districts throughout Los Angeles County. He retired in 2002. Despite our sorrow over the devastating loss of Angela Peterson, Travers forged ahead with his first meeting on July 8. After some kind words about Angela’s contributions to our club and to our lives, our new president got down to business by reviewing some of the projects and activities we want to pursue during his term. With an international theme of “Light Up Rotary,” Travers has already been working behind the scenes to find significant projects and partnerships for us. He promises to balance fellowship with firm decisions.